Tresor Records celebrates the return of Psyk on its catalog, with his new album A Moment Before. This is Psyk's first long player since his debut Time Foundation (MOTE 002CD/LP, 2014) on Luke Slater's Mote Evolver imprint. The Spanish producer released his first single for Tresor, Works (TRESOR 282EP), in 2015. Four years later, the production of A Moment Before comes as natural progression, within the cosmos of the Berlin techno mothership for Psyk. The album is undoubtedly Psyk's most advanced piece of work to date. It dialogs with practices in reduced forms of techno, as originated by artists like Robert Hood, through the recently re-released Internal Empire on Tresor (TRESOR 027CD/LP). Double-LP; 180 gram vinyl; Includes download code. 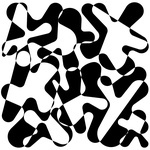 Psyk's latest EP on Non Series gets remixed by Peter Van Hoesen, Shifted, and Neel. Psyk releases on his own Non Series imprint for its 30th installment, showcasing the label's sonic vision of contemporary techno with a perfectly balanced EP. Subtly blending thunderous and warm atmospheres with driving rhythms as the unifying structure, the release also includes the track "Falling" which was featured on DVS1's Fabric mix (FABRIC 191CD, 2017). The working relationship between producer Psyk (aka Manuel Anós) and Mote Evolver continues with the new Silent Witness EP. "Disorder" leads in with a curiosity-provoking combo of rubbery kick drum and gated synth sounds. The title track follows with a similar tempo and probing mood, but this time with sharper rhythmic edges, crisp hi-hats, and rising swells. "Apart" inaugurates the B side with a classic club sound, one reliant on chaining together micro-snippets of sound into something expansive. "Surrender" ends this particular voyage with a vertiginous, omnipresent sequence guiding the way through a synthetic wilderness. Madrid-based producer Manuel Anós returns on his own Non Series imprint following his remarkable 2015 solo debut on Tresor. This 12" features two tracks in Anós's most stripped-down aesthetic, exploring his sonic origins through loops and wires. Spanish producer Manuel Anós aka Psyk aka Maan follows his 2014 Time Foundation album (MOTE 002CD/LP) and the Arcade (MOTE 035EP, 2013) and Distane (MOTE 031EP, 2012) with the Human EP. While records like Distane rolled over dancefloors with a metallic, cardiac thump, the Human EP spins its cocoon of sound in a less aggressive, but still enjoyably intense manner. "Human" features a crystalline mesh of bass kick, jittering hats, and persistent eighth-note percolations; "Powder" adds driving ride cymbal and a cleverly subtle filtering to the mix; and "Aumento" features gorgeous interplay between a whistling oscillator and its lower-pitched counterpart. Double LP version. Pressed on 180 gram vinyl. After two successful EP releases on the label, Psyk aka Manuel Anós is back on Mote-Evolver, inaugurating his first full-length album effort with Time Foundation. 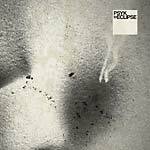 It's no surprise that Psyk is releasing his debut album on the label, as his previous two EPs Distane (2012) and Arcade (2013) have both left people wanting more. Time Foundation proves to be an outstanding collection that shows the full spectrum of Psyk's sound and the range of his skills as he expands and explores different depths and moods. Keeping the energy level constant at the peak, there's no downtime in Time Foundation. And while 10 sharp-cut tracks are all armed with clean, streamlined groove and impressive sound design, sounding incredibly slick and effortless, once you listen closely, these tracks demand your attention. The opener "Automatic" rolls like a well-oiled machine on cruise control with the signature of a single chord bouncing on top of a relaxed but energetic groove. Expanding on a similar theme is "Myriad," which takes a further playful approach. "Riot" steps into more minimal territory, featuring a subtle development that keeps you engaged while "Avalon" grounds itself to just heavy enough bass kicks to evoke deeper vibes without compromising its uplifting spirit. Slipped in the middle of the album like an intermission is "Five," and it's a curious and ominous track that flashes a different side of Psyk. It shows off his craftmanship as muted and muffled beeps faintly go in and out while a blinking synth melody renders a unique, intriguing beauty. Starting off the second half is "Silhouette," picking up the tempo and elevating the mood with bass drums and claps, followed by the demure crescendo of melody and floating fuzzy hiss of "Shift." "Nine" is designed for the deeper moments you encounter during longer sessions in the club, surrounded by people yet alone with the pulse of music. The album closes with the stunning "L3" -- swinging white noise and a hint of acid invite you back to the beginning of the album to listen all over again. Time Foundation is packed with no-frills, on-point peak-hour techno tools finely executed with a minimalistic concept of doing more with less. It's a highly functional album that spoils the listener with mesmerizing details and provides the diversity of sounds and textures today's techno has to offer. After two successful EP releases on the label, Psyk aka Manuel Anós is back on Mote-Evolver, inaugurating his first full-length album effort with Time Foundation. 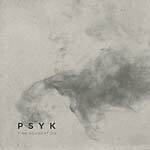 It's no surprise that Psyk is releasing his debut album on the label, as his previous two EPs Distane (2012) and Arcade (2013) have both left people wanting more. Time Foundation proves to be an outstanding collection that shows the full spectrum of Psyk's sound and the range of his skills as he expands and explores different depths and moods. Keeping the energy level constant at the peak, there's no downtime in Time Foundation. And while 10 sharp-cut tracks are all armed with clean, streamlined groove and impressive sound design, sounding incredibly slick and effortless, once you listen closely, these tracks demand your attention. The opener "Automatic" rolls like a well-oiled machine on cruise control with the signature of a single chord bouncing on top of a relaxed but energetic groove. Expanding on a similar theme is "Myriad," which takes a further playful approach. "Riot" steps into more minimal territory, featuring a subtle development that keeps you engaged while "Avalon" grounds itself to just heavy enough bass kicks to evoke deeper vibes without compromising its uplifting spirit. Slipped in the middle of the album like an intermission is "Five," and it's a curious and ominous track that flashes a different side of Psyk. It shows off his craftmanship as muted and muffled beeps faintly go in and out while a blinking synth melody renders a unique, intriguing beauty. Starting off the second half is "Silhouette," picking up the tempo and elevating the mood with bass drums and claps, followed by the demure crescendo of melody and floating fuzzy hiss of "Shift." "Nine" is designed for the deeper moments you encounter during longer sessions in the club, surrounded by people yet alone with the pulse of music. The album closes with the stunning "L3" -- swinging white noise and a hint of acid invite you back to the beginning of the album to listen all over again. Time Foundation is packed with no-frills, on-point peak-hour techno tools finely executed with a minimalistic concept of doing more with less. It's a highly functional album that spoils the listener with mesmerizing details and provides the diversity of sounds and textures today's techno has to offer. On PSYK's Eclipse EP, CLR finally releases a track that Chris Liebing has been playing on all kinds of occasions. "Eclipse" formed an essential part of countless of his sets. Manuel Anós aka PSYK is a highly inspiring and respected artist from Madrid. Like other similarly contagious tracks, "Eclipse" also has an intoxicating, elegantly rolling beat and loads of well-defined bass. The general choice of sounds and atmospheres has a somewhat trippy and otherworldly yet uplifting feel, which beautifully combines with the driving character of the track. Additional remix by Chris Liebing included -- available on this vinyl only. On his second Mote-Evolver release Psyk aka Manuel Años delivers yet another standout effort with four tool-oriented tracks of clean, tight, yet powerful minimalistic approach. "Arcade" contrasts a high-energy thumping drumbeat with a hypnotic layer of syncopated rhythm. Surface" will stay in your mind with its obsessive singularity of monotone balanced with the groove of a muted heavy beat. "Intern" is meshed with lighter elements like beeping sounds and clapping, and "Somewhere" tames the energy into a relaxed atmosphere. Manuel Años aka Psyk, presents Distane his debut release on Mote:Evolver, melding together new forms of rhythm and expression with the kind of maximal composition and hard energy that the label has honed. The four tracks of Distane pulse, pound and thump their way forward while also showcasing a distinct metabolism that develops throughout this varied release, establishing the momentum both for the budding Spanish producer as well as for his supercharged productions to come.